We are making progress on our fall challenge of completing Star Wars character hats. So far it has proved quite challenging as we are creating our own patterns for most hats. It is complete with the helmet “look” of a Storm Trooper. Considering adding this little guy to the Etsy shop along with his friend (or foe) R2D2. It looks like the minions hat with the tutorial. Do you have pattern for eyes and mouth? Love your blog and your spirit. I am so sorry for your loss. Would totally love the pattern for this! If you add it to your shop I will definitely buy! Hi! I absolutely adore your storm trooper hat! Do you have a pattern for the face that you can share?? Thanks so much!!! Hi thank you so much for the compliment. 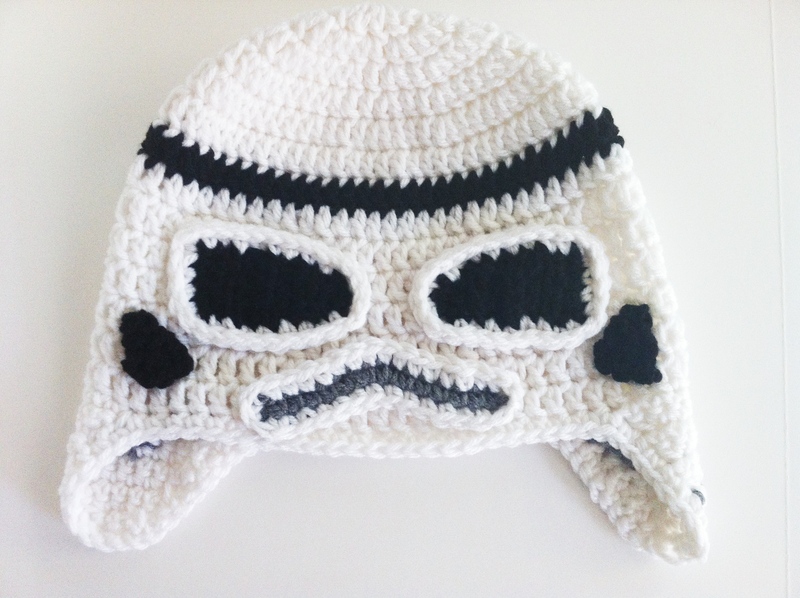 Unfortunately I dont have a pattern available to post for the storm trooper hat.